Inadequately or incorrectly defined it. 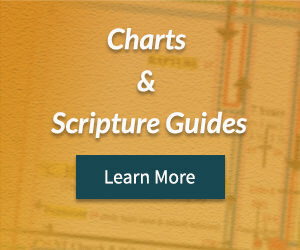 Check out the tracts you use! Also, most tracts didn’t give the plan of salvation in every point from the Old Testament to appeal to Jews as well as the New Testament to appeal to Gentiles. I wanted a tract that would do both, and that is why I wrote this tract. 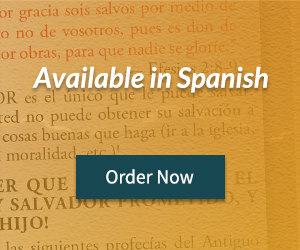 This emphasis on and thorough definition of repentance, and the appeal to both to Jews and Gentiles for every point in the plan of salvation make this a unique tract. Since we often give tracts to people without realizing that some of them are Jewish, it is very important to use a tract that appeals to them as well (Rom. 1:16). 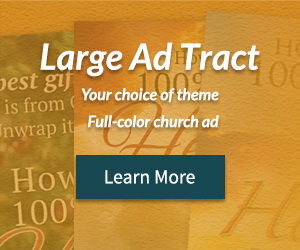 A Christian graphics artist helped me by designing an attractive 4-color layout with large print to make the tract as attractive, readable, and eye-appealing as possible for the unsaved. Then, I had a large quantity printed to get the price per tract lower than most comparable tracts. Compare the prices of this full-color tract to the prices you have been paying for other full-color tracts you use! As we and others we minister to go about our daily routines, we should literally be prepared and looking for opportunities to give the Gospel to the lost. Before leaving our homes each day for work, school, errands, or other responsibilities we should fill our shirt pockets or purses with tracts so that we are prepared for those golden opportunities that we encounter everyday, to give out tracts rather than passing these opportunities up. Do not leave home without them! Without a doubt, the quickest, easiest, and most practical way for personal evangelism and soul winning is by passing out gospel tracts everywhere! 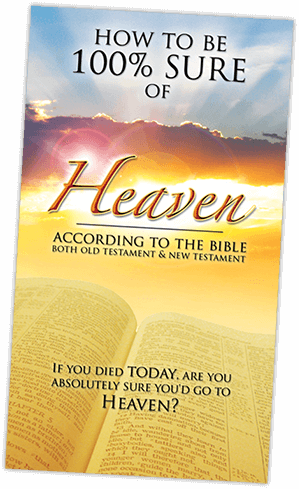 For these reasons, I hope you will seriously consider using this tract. 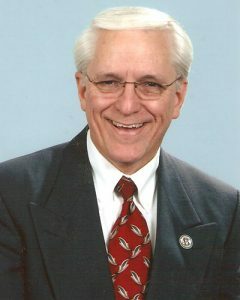 Jim L. Bray attended Bob Jones University in Greenville, South Carolina in 1965 and graduated from the Institute of Christian Service there in 1970. After graduation, he served full-time as Youth Pastor under Dr. Curtis Hutson in Decatur, Georgia, and later moved to Phoenix, Arizona, where he served as Youth Pastor and Assistant Pastor in two churches for nearly 20 years. Then he served as the Pastor of 35th Avenue Baptist Church (Independent Baptist) in Phoenix for over 12 years. In addition to his ministerial training at Bob Jones University and over 30 years of pastoral experience, he studied at International Baptist College in Tempe, Arizona and at Ambassador Baptist College in Lattimore, North Carolina (founded by evangelist Dr. Ron Comfort.) He graduated from Ambassador with a Bachelor of Biblical Studies degree and has done some graduate study there as well. 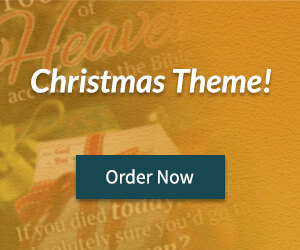 He has written the gospel tract “How to Be 100% Sure of Heaven”, an 80-page book entitled Bible Prophecy Charts and Scripture Guide (recommended by Dr. J. Dwight Pentecost, nationally-known author and seminary professor), and a gospel song “He That Goeth Forth” based on Psalm 126:5–6 and published by Bob Jones University’s SoundForth music publishing company. After 33 years of marriage, his wife, Dana, went to be with the Lord on December 19, 2004. His three children (John, Steve, and Sarah) are all serving the Lord and working in various ministries.